Catch a train to the heart of rock ?n? roll with this essential study of the quintessential American art form. First published in 1975, Greil Marcus's "Mystery Train" remains a benchmark study of rock ?n? roll and a classic in the field of music criticism. Focusing on six key artists?Robert Johnson, Harmonica Frank, Randy Newman, the Band, Sly Stone, and Elvis Presley?Marcus explores the evolution and impact of rock ?n? roll and its unique place in American culture. 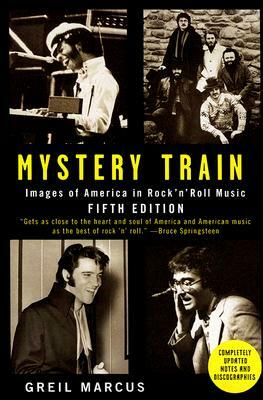 This fifth edition of "Mystery Train" includes an updated and rewritten Notes and Discographies section, exploring the evolution and continuing impact of the recordings featured in the book. Greil Marcus was one of the original staffers at" Rolling Stone." He teaches at the New School in New York and lives in California.